August | 2011 | Ipoh Mali Talak Sombong! Not long ago, I blogged about the 83 years history of Yut Kee. And barely 6 months after that, we were surprised by the news (well, maybe not to everyone) that government has set their eyes on the neighbouring Jalan Sultan and its nearby vicinity (including partial of Jalan Petaling a.k.a. Chinatown) to be converted into a upcoming MRT station. I might not like Petaling street that much but for loyal old-timers who thronged that place for their daily errands or routines, imagine what will be-fallen them when that day comes. Things certainly will not be the same anymore for them. It’s really a shame that heritage and history have to be sacrificed in the name of development. 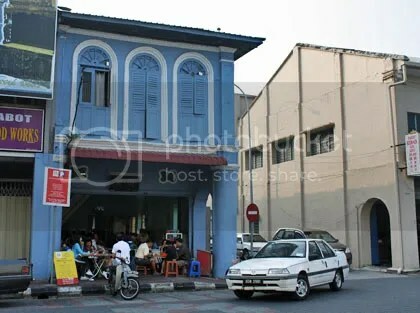 Hence, I came up with this pilot post on Ipoh Old Town. 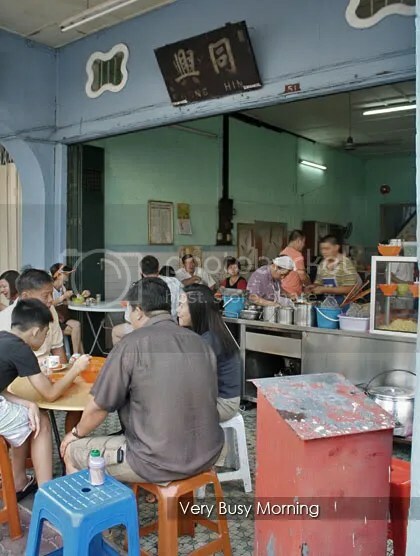 This old part of Ipoh used to be my favourite hunting ground for breakfast and it still is even to this day. Rapid development has not invaded Ipoh yet, but no one would know what future lies in beyond. Alright, back to food. 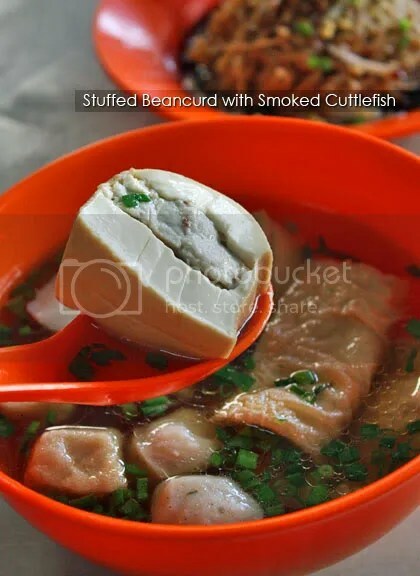 My parents told me that this eatery sells Hakka taufu, which is supposingly stuffed beancurd with minced fish paste and salted fish mixture. However, it always missed my mind until last month – together with partner-in-makan, I finally made my way here. 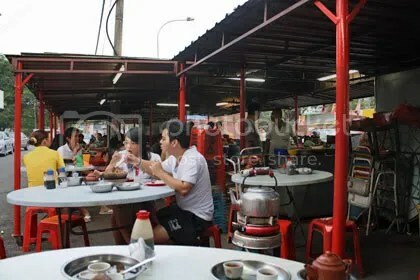 Most eateries in Old Town are crowded to the max especially on weekend, but the reason behind it is debatable – whether that particular place is really famous or people are coming over because other places are full? The Hakka noodles served wasn’t the same as we usually get from Yin Yau Kui (moved to the opposite shop and called Restoran Paris now) or Toast & Roast. Reason – the absence of minced meat. 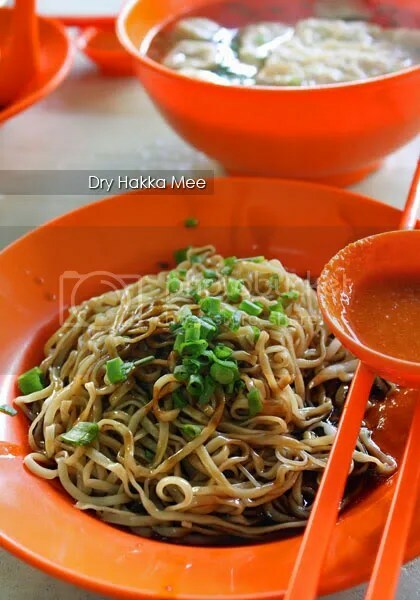 Instead, the Hakka noodle was just used as an alternative choice for those who might dislike yellow mee, beehoon or hor fun. 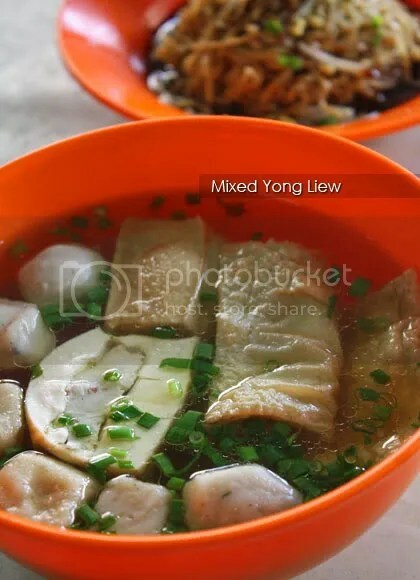 The noodles did not made us going ooohs and aaahs but the yong liew did, particularly the fishballs (huh, not the beancurd??). By the way, if you have no idea what liew to choose from, just leave it to the aunty to decide for you. 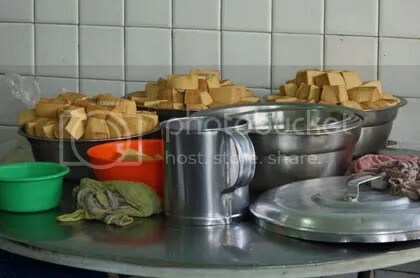 And shockingly cheap, the fishballs were priced at RM0.30 and beancurd at RM0.50 per piece! Where to find such price tag in Klang Valley!? With this, part one of the charming Ipoh Old Town is done… for now. Let’s hope that part two will be up soon (assuming that my upcoming schedule won’t be drown with classes or my PlayStation 3 does not beckon to me). Business hour: Opens early, say about 7am till sold out. Best to go before 8.30am! 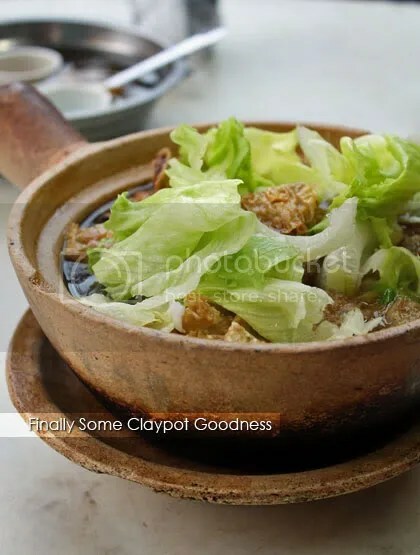 After a series of bah kut teh served in bowl, I finally got to try the claypot version…. this time, in Pandamaran, Klang. 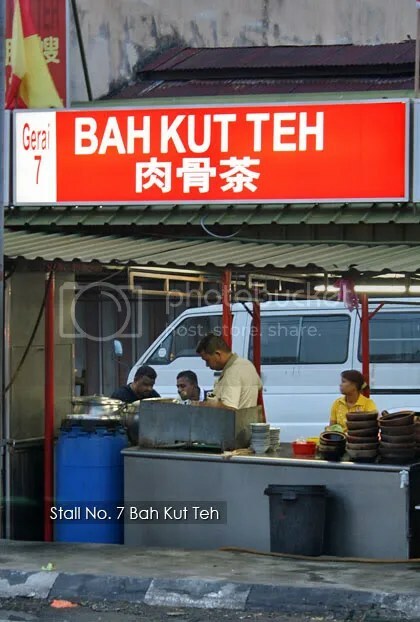 Opens for dinner, this particular stall located in front of Public Bank, by the roadside. 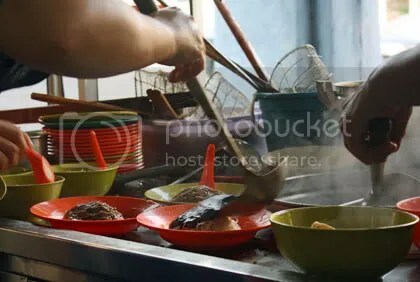 There are two long stretch of roadside stalls set up by the Klang district authorities for hawkers and this stall is one of them. 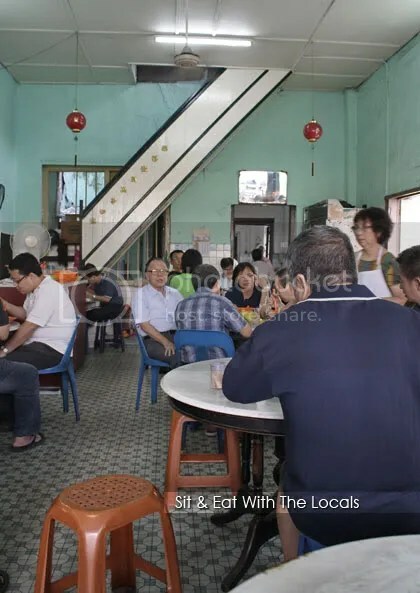 If you’re keen to try bah kut teh which is not crowded (most bah kut teh restaurants in Klang, especially those famous one like Pao Xiang and Mo Sang Kor are always crowded in the morning) or if you’re up for something different, this might be the place to go. Why different, you ask? Read on to find out! 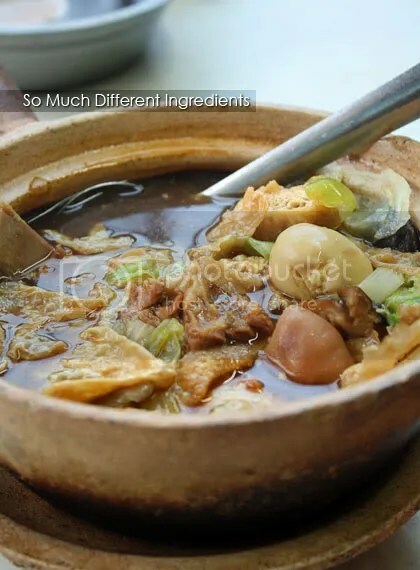 I did not notice anything different first… well, it is common for Klang Valley folks to dunk their iceberg lettuce into the piping hot claypot (not that I known of any bah kut teh in Ipoh do the same, though), therefore, everything else in that pot are shaded from my view….